We realise that being a foreign student in a big city like London can be a bit overwhelming, especially when trying to take public transportation. Do not worry! We have broken everything down for you so that you can get to where you want to go without any troubles and for the cheapest price. Before taking the Tube, always check to see when the first and last trains are. 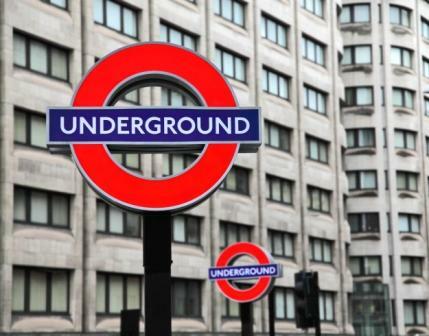 The first thing you need to know is what tube station you are leaving from and at which station you will need to arrive at. Once you know where you are leaving from, check to see where your station is on the underground line. Locate your destination and the underground line that it is on. Remember to check the train's destination, which can usually be found on the front of the train or on the display boards, to make sure that you are getting a train going in the right direction – and that if you need to change lines, you keep going the right way! Note: Sometimes trains do not travel all the way to the terminal station and will terminate a few stations before. There will usually be a train that goes to the end of the line shortly afterwards, but it means that you may have to get out and wait at the platform for a while. An Oyster Card is a pay as you go travel pass that you can use for the underground, bus, tram, DLR, London over-ground trains and some National Rail train services. There are two advantages to having an Oyster Card. Firstly, they are so convenient. When you've just arrived back in London from your summer holiday, the last thing you want is to be messing around buying a Travelcard every day. 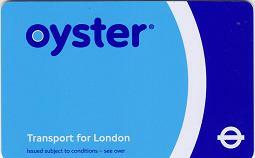 The other major benefit is that Oyster Cards make travelling much cheaper. It will always calculate the cheapest price for your journey, and paying for a journey with an Oyster Card costs a lot less than buying a paper ticket. You can pick one of these up from selected high street shops or at most train stations in London, or get it delivered within the UK. They are free but have a refundable £5 deposit. They can have season tickets placed on them, be pay as you go, or auto top-up. If you want to get your Oyster delivered abroad before you arrive in London then this is for you. They have a £3 non-refundable deposit and you can get them already topped up when they arrive. Make sure you touch your Oyster Card to the yellow sensor at the start and the end of your journey. If you forget to touch in or touch out, you will be charged the maximum daily fee. If you travel during peak times, Monday to Friday (4:30–9:30 in the morning) you will be charged more for your journey. Student Photo Oyster Cards are available to students over the age of 18 and enrolled at a participating university or institution. Although you can still use the Student Oyster Card for pay-as-you go travel, no additional discounts are available for single journeys, daily travel or 3 day travel. 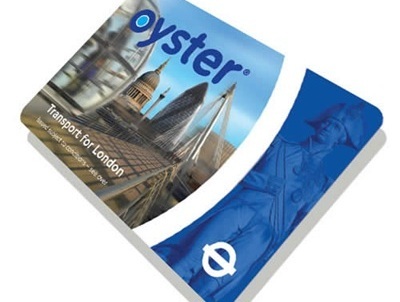 The Student Oyster Card allows you to spend less money on travel in and around London when you purchase Travelcards valid for 7 days, one month or longer periods of time (up to one year). You will end up saving 30% off the adult fare for that Travelcard. 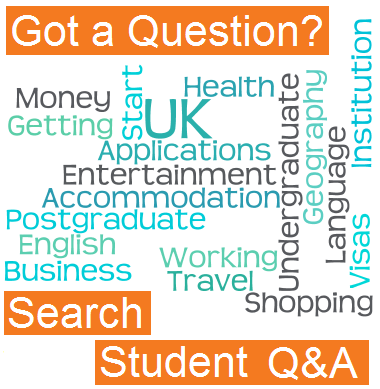 Eligible students must apply for a student oyster card online or by post through their university or institution. Contact your Student Union or the National Union of Students for more information. If you are under the age of 19 and in full time Education in the UK, you may qualify for the 16+ Student Oyster Card, which will entitle you to free transport on London buses and trams and allow you to purchase Travelcards at a child's rate. A Travelcard is a pre-paid travel ticket valid for a day, 3 days, a week, one month or longer periods of up to a year. This is a good option for people who travel daily on the tube, bus, over-ground trains or DLR. When purchasing a Travelcard, you must specify which zones you will be travelling through; if you will be travelling during peak times and what modes of transportation you will take. You Travelcard must be valid for the dates you will be travelling, for the zones of your departures and destinations, for the time you are travelling (off-peak travel cards are cheaper) and for the type of transportation you are taking. You can purchase a Travelcard valid for transport on the underground, London over-ground trains, DLR, tram, schedules riverboat services and some National Rail services for anytime travel or off-peak travel (travel starting after 9:30 in the morning). You can also purchase a travel pass only valid for the bus and tram network in London. This pass will not allow you to travel on the tube or on any trains. National Rail Cards allow you to have unlimited travel on National Rail services between the zones specified on your card for the duration of your card. Students holding the National Rail 16-25 cards can purchase travel cards at the off-peak rate, which is a great deal and can save you 50% off your travel costs. Before taking the bus, always check to see what the times for the first and last buses are. It is also a good idea to check if there are any delays or closed routes by using the Journey Planner. 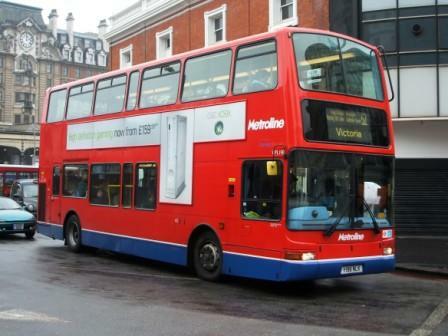 For bus route map and timetable information, check TFL. You can also use the Journey Planner to find out which bus you will need to take in order to reach your destination. When you arrive at the bus stop, make sure the bus you need to take, stops at that station (bus numbers are listed on white plaques at the stop). If it does not, look to see if there is any other bus stop nearby or ask a local shop owner for help. When you arrive at the correct bus stop, check the route map to make sure your bus is heading in the correct direction. If you are unsure, check the front of the bus to see if its last stop is in the direction you wish to travel. If you find that the bus is heading in the opposite direction to the one in which you want to travel, you will probably need to cross the street to take the bus heading in the right direction. If you have an Oyster Card, make sure to touch in, but you will not have to touch out. Sometimes, you will be allowed to buy a bus ticket on the bus, although not usually in Central London. Check around the bus stop to see if there is a machine to purchase tickets before your bus arrives. Night Buses are run on a limited service, late at night. The Night Bus service usually starts after midnight. The routes are much longer and the stops are less frequent. Students usually take the Night Bus to get home after a late night out because it is the only mode of public transport to run through to the early hours. To find out which Night Bus services your area, check at bus stops near you or use the Journey Planner. Night Buses have an "N" before the route number e.g. N11. Black Cabs are the traditional London Cab service. You can hail one on the street at any time of day or night. 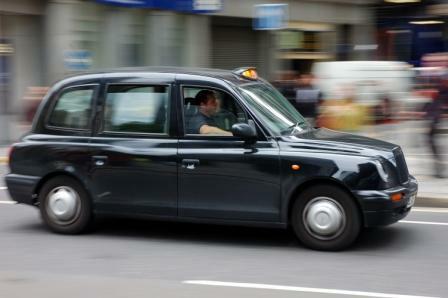 There are cab stops located all over central London and some surrounding areas. Black Cabs cannot be booked in advance. All airports have a Black Cab service. Riding in a Black Cab can be a great experience for a foreigner, as the cab driver will most likely tell you about picking up members of the Royal Family, celebrities and other interesting people. 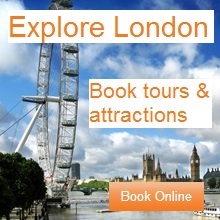 They are also quite knowledgeable about London and if you ask, they will probably tell you what you want to know. However, if you are not careful, you can run up a hefty bill in a Black Cab. All the cars run on a meter that charges per portion of a mile and per minute stopped. If you hit some traffic, you will be broke in no time! Though they are convenient, they are not the best way to save money. Mini-Cabs are the way to go if you want discounted taxi transportation. Unlike Black Cabs, you cannot hail Mini-Cabs on the street. You have to call a Mini-Cab station and they will send you a taxi if you have not pre-booked. Mini-cabs charge for the entire journey, regardless of traffic. When you want to book a Mini-Cab, make sure you call the nearest company to you, as they will most likely be the cheapest. There are also Mini-Cab companies run by women only for women, so if you are a female and you are wary of cab drivers, know that there is another option for you.